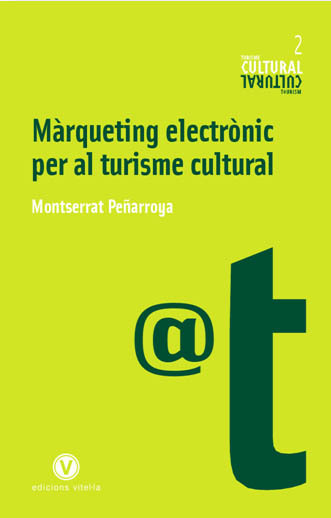 Presentation of my libro "Electronic Marketing for Cultural Tourism"
This next Friday the November 5th Girona presented in my book "Marketing Electrònic per a Turisme Cultural". This book is part of the collection dedicated to cultural tourism published by the editorial Vitelli. The book can be purchased online by clicking here: Marketing Electrònic per a Turisme Cultural. The presentation itself will perform in Fontana d'Or (C. Citizens, 19, Girona) in the 7 afternoon. Is presenting Mr. Joan Pluma, Deputy Economic Development and New Technologies Ms. Dolores Vidal, professor of Girona and director of the collection and Ms. Gemma Garcia, the publisher ... y yo misma ... and of course, with all that friends wishing to attend this acto. The presentation was very good. I had never been to La Fontana d'Or and the truth is that it is the perfect setting for the presentation of a book. The room where the ceremony took place (the room Tapiz, I think it's called) is the right size for this type of event and is the ideal place for a book about how to raise awareness of the cultural resources of place our country. From here I want to thank Gemma Garcia, Dolors Vidal and Joan Pluma for their presentations and their words of support. I also want to thank all the friends and acquaintances to know, who came to the Fontana d'Or to attend the event, for making this unforgettable evening. Everyone I am very grateful. The photograph is attached to the Pere Duran Volume photographer for the newspaper El Punt - Today. Logical question. Moment is not available, but I hope that if he is facing to December. This page will discuss the book, I will include more content related chapters of the book and best practices that I saw every day when dealing with students and clients. 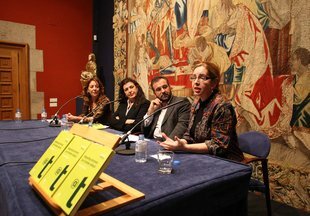 https://www.montsepenarroya.com/wp-content/uploads/2017/09/MP-Logo-Web-1.png 0 0 Peñarroya Montserrat https://www.montsepenarroya.com/wp-content/uploads/2017/09/MP-Logo-Web-1.png Peñarroya Montserrat2010-11-03 09:08:452011-10-25 18:56:40Presentación de mi libro "Marketing Electrònic per a Turisme Cultural"
Next October 28 in Girona start the conference with the title: Internet 2.0 - Social networks and tourism business Keys. Tengo el placer de participar en dos de sus ponencias y en un taller práctico. This first day is complemented by a series of workshops to be held on other days. Which I impart is to How to analyze your competition and basically, I will explain how to make a benchmark, what factors to analyze, how to present and interpret the data. The workshop will be 100% practical and my goal is that attendees get home knowing do a good benchmark and with the necessary tools to carry it out.